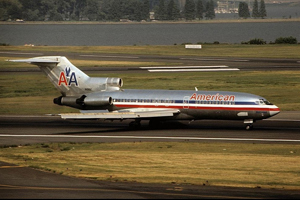 At 1510 local time, American Airlines Flight 625, a Boeing Model 727-95, was landing at Harry S. Truman Airport on St. Thomas Island of the U.S. Virgin Islands. During the landing, the airplane floated and touched down long, well outside the required touchdown zone, on this very short runway. The captain, thinking he did not have enough runway to stop, attempted a go-around. Believing the engines were not responding rapidly enough for a successful go-around, he aborted the go-around and attempted to stop. The aircraft skidded off the end of the runway, crashed through the airport boundary fence, went over a road, and came to rest against a gas station. Thirty seven of the 88 passengers and crew aboard were killed. One person on the ground was seriously injured. The National Transportation Safety Board (NTSB) concluded that the probable cause was the captain's actions and his judgment in initiating a go-around with insufficient runway remaining after a long touchdown. The long touchdown was attributed to a deviation from prescribed landing techniques and an encounter with an adverse wind condition, common at the airport. The pilot's decision to not fly the approach and landing with the flaps in the proper, maximum deflection as prescribed by the airline's procedures for this airport with the reported wind conditions. The captain decided to fly the approach at Flaps 30 degrees, rather than the prescribed 40-degree setting. The 30-degree flap setting requires a higher approach speed and results in a longer landing distance. The deviation from company procedures by not executing a go-around once he had floated past the company-designated required touchdown zone.